Libra – mixed geraniums with air herbs. 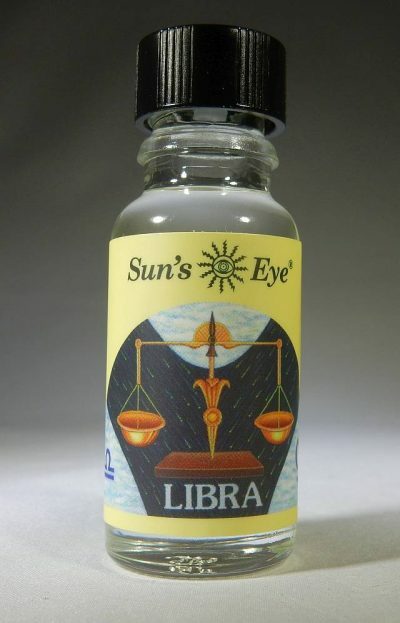 A good choice when any sense of balance is needed; also used to help cultivate social graces and composure. 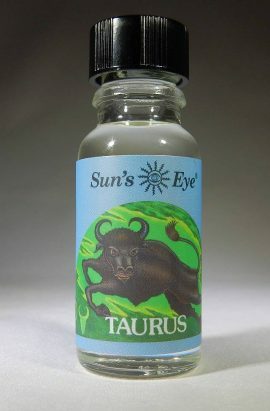 By combining the oils of herbs that are appropriate to the planets, the elements and the personalities of the twelve signs of the Zodiac, Sun’s Eye has created a unique formulary. The purpose of these beautiful oils is to assist in aligning oneself with the vibrational energies of any individual Zodiac sign. 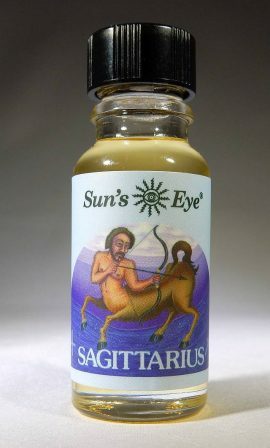 Sagittarius – vegetarian musk-based formula. Expressing optimism, tolerance, philosophy and joviality, and for the expansion of spiritual, mental and conceptual understanding and resourcefulness. 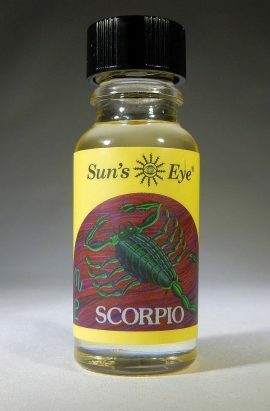 Scorpio – rose with attracting herbs. For the transmutation of energy toward regeneration and renewal, sexual energy, will power and investigative talent. Taurus – magnolia with red florals. 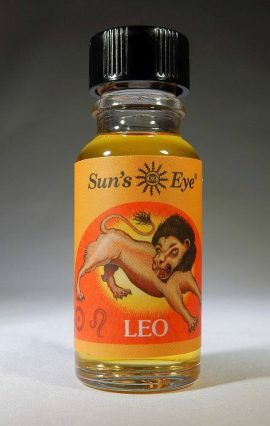 Characterized by patience, stability, determination and aesthetic appreciation, use to heighten aesthetic sensitivity, materialistic appreciation and lend strength of purpose..
Leo – frankincense with citrus herbs. 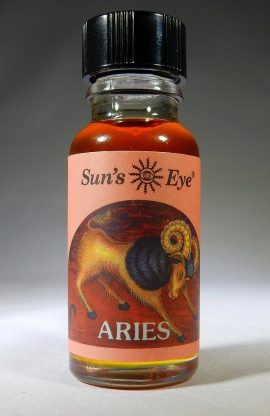 A loyal, romantic, powerful and creative sign, choose this oil for vitality, confidence, will power and the dynamic energy associated with its planet, the sun. Virgo – tulip with balancing herbs. Associated with precise and analytical thought, use to enhance logic, reason, and sensibility. 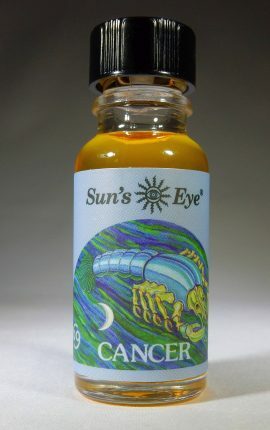 Cancer – coconut and other water-associated herbs. 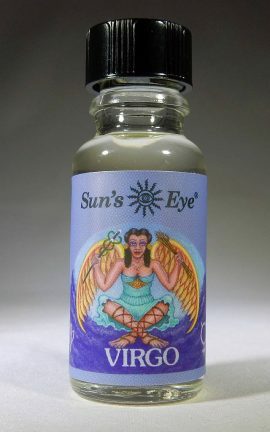 Use to heighten intuition, perceptivity, domestic sensitivity and psychic or instinctual knowledge. 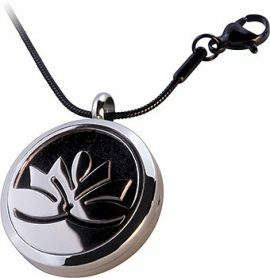 Wear your favorite essential oil in a beautiful and durable stainless steel locket. Each locket comes in a gift box with an 18″ black stainless steel chain, 3 black felt pads to saturate with oil, and an instruction card.